How does the end time action of the Archangel Michael, the guardian of Israel, result is an unparalleled time of great distress? During the time of the Great Tribulation Satan and his demonic hoards no longer will travel in the heavenly realms but will be totally excluded from heaven and will be cast down to earth. The Archangel Michael is the protector of the nation of Israel (Daniel’s people). Mid-tribulation, Satan is cast to earth and will vent his rage against the people of God. All hell will break loose. Those from the nation of Israel who are written in the Book of Life will be delivered through the time of great distress as through a refiner’s fire. Two-thirds is a fraction which is equivalent to .666 when written in decimals. During the horror of the holocaust, six million Jews were tortured and put to death. The total population of Jews during World War Two was about eighteen million people. During WWII, about one-third of all Jews in the world were killed. The holocaust will pale in comparison to the time of Jacob’s trouble when two-thirds of Jews worldwide will perish. Having been finally and totally cast from heaven, Satan is filled with fury because he knows that his time is short. Do not forget that God is sovereign and in total control. Although in the natural there is great persecution of both Israel and the church, God is using the baptism of fire to purify his people. They (the saints) overcame him (Satan) by the blood of the Lamb (Christ’s atonement) and by the word of their testimony (they demonstrated their faith) by their willingness to suffer a martyr’s death. Jesus said, All men will hate you because of me, but he who stands firm to the end will be saved (Matthew 10:22). 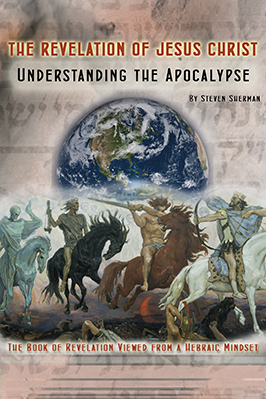 A pre-tribulation Rapture is a concept that serves to circumvent the purposes of God and denies God’s sovereignty. John baptized with water, but Jesus came to baptize with the Holy Spirit and with fire (Matthew 3:11-12). Death is swallowed up in victory (1Corinthians 15:54). If indeed we are in Christ, we will stand firm to the end. The resurrection of the righteous takes place before the Millennium (the 1,000 year reign of Christ on earth). Surely Adam did die spiritually in the very day that he disobeyed God. His iniquities separated him from the LORD and the man and the woman were cast out of paradise. Yet, Adam did not die a physical death until he lived 930 years, “and then he died” (Gen 5:5). During the time of the greatest spiritual darkness and the worst persecution of the saints in history, there will be those who are wise and will share the gospel and receive great eternal reward. Daniel was commanded to roll up and seal the words of the scroll to the time of the end. So when did the last days begin and the scroll would be unsealed? The last days began after the crucifixion, resurrection, and ascension of Christ, when the Holy Spirit was poured out at Pentecost. John, the last surviving original apostle, was commanded to write down the contents of the visions that he had witnessed while he was in the Spirit. The prophetic, symbolic visions that were sealed in Daniel’s day concerned the last days of this evil age which began at Pentecost and culminate with the Great Tribulation and the return of Christ to rule on earth. Both the Book of Daniel and the Book of Revelation speak of a period of three and a half years (time – one year, times – two years and half a time – ½ year: 1 + 2 + ½ = 3½ years) in which the Antichrist will successfully wage war against the saints. This is during the second half of the Great Tribulation. The fires of persecution will purify the bride of Christ and prepare the survivors of the twelve tribes of Israel to look to the One they have pierced as Savior and Lord. We have two significant time periods in Daniel 12:11–12, which extend past the time of the return of Christ to the earth. The first is 1,290 days, counted from the day daily sacrifice in the temple is abolished, that is, thirty days after the 1,260 days (three and one half years). This thirty-day month, added to the 1,260 days, brings us from Nisan 10 to the tenth day of the eighth month, Heshvan, which falls thirty days after the Day of Atonement. So what might the thirty-day period between the 1,260th day and 1,290th day imply? When Israel’s first high priest, Aaron, died, the entire nation mourned him for thirty days. When Moses the deliverer died, there was again great weeping and mourning for thirty days. On the day of the rapture, the Lord comes with the clouds (souls of those who died in Christ) and there is mourning, and Israel will grieve bitterly for their Messiah whom they have pierced. Unlike the people of the gentile nations, who will not repent of their immorality (Revelation 9:21), Israel will come to mourn in such a way that, as individuals change their minds regarding Christ, salvation is ushered in (see Romans 11:25–26; 2 Corinthians 7:10). When the Lord returns to the earth to redeem Israel, the great weeping and mourning will be like the sorrow for righteous King Josiah after Pharaoh’s archers mortally wounded him in battle on the plain of Megiddo. (See 2 Chronicles 35:20–27; this is the place where Armageddon will be fought!) I believe the nation will grieve and mourn for Christ, the “One they have pierced,” for a thirty-day period, beginning 1,260 days after sacrifices and offerings are abolished by Antichrist. And what of the remaining forty-five-day period? What is the 1,335th day? The Lord declared to King David that Messiah would issue from David’s line and that Messiah’s kingdom would be established eternally (2 Samuel 7:13–16). Before Jesus takes His rightful place on His throne in Jerusalem, His temple must be sanctified and rededicated to Him. I believe the temple cleansing will be completed as the 1,335 days of Daniel 12 are completed. The Hebrew calendar consists of months that are thirty days in length. 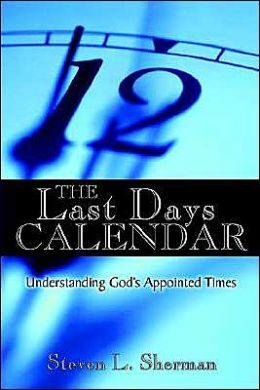 The 1,290 days would be completed three and one-half years plus one month after the midpoint of the seven year tribulation period. The 1,335 days are completed forty-five days after the 1,290 days end (1,335 days – 1,290 days = 45 days). If the 1,290-day period ends on the seventh day of Heshvan, the twenty-fifth day of the ninth month, Kislev, is the 1,335th day. Any Israelite surviving the tribulation and after will be extremely blessed to reach the end of 1,335 days—the Feast of Dedication (Chanukah)! This commemoration is also known as the Festival of Lights (of God, the Light of the world) and is a time of cleansing for the temple in Jerusalem. Daniel had been receiving insight into the future by the visions recorded in the previous chapters. He sought for clearer knowledge and was told that the scroll, which was a record of end time events, was sealed and closed. But during that long interval Daniel would “rest.” In the grave, his body would quietly and calmly “sleep in the dust of the earth.” He would not participate in the tribulation of the last days. Instead, he would participate in the resurrection of the righteous and was assured that he would receive his inheritance in the kingdom of God.